Throughout our lives, we've been conditioned again and again that purchasing a home is "The American Dream." Our parents and grandparents stressed the importance of buying a home as a way to build wealth over time. But have you actually looked at the math? What do you think, is buying a home a great investment? Let's find out. Let's assume you bought a home for $300,000 and sell it 10 years later for a 50% profit, or $450,000. At first glance, this looks to be a nice profit! But when we look at it a little closer, we find that it is not really a 50% profit, in fact, it's much less. 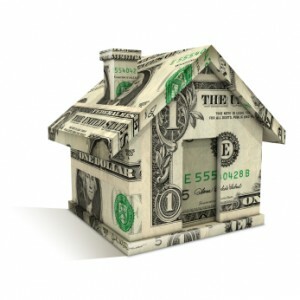 To begin, when most people buy a home they need to borrow money from a bank to do it. Putting less than 20% down adds mortgage insurance costs, so we'll assume the buyer is wise and puts 20% down, or $60,000. He borrows the rest in the form of a 30 year fixed rate mortgage from his local bank at a rate of 4.5%. Below is a rundown on a typical 30 year mortgage broken down by principal and interest. As you can see, this 10 year period of living in your home required over $145,000 in outlays. That $150,000 increase in value is beginning to not look so attractive. To make things worse, over $88,000 was lost to interest paid to your bank and only $45,800 was applied to the principal balance on the loan. This provides a little clearer look at the total money spent and amount of profit earned at sale. If you include the $60,000 down payment, you've invested over $205,924 into the home. When you subtract the mortgage balance due after 10 years, your left with a total profit of $109,959 over 10 years, or a cumulative return of 53%. This works out to an annual return of 5.3%, nearly 3% less than the stock market's expected long-term annual return of 8%. Now, this example has a very desirable outcome as recently many homeowners have been on the opposite end of the bell curve with a sharp decrease in their home's value. On the whole, history tells us that a home's value will just barely keep up with inflation. When compared to the stock market's expected return of a 5% real return (above inflation), an investor focused on his home as his sole investment will greatly lag the investor utilizing an investment plan focusing on contributing to index funds via a low cost provider in tax advantaged accounts. The above example is a quick and dirty look at the total mortgage payments vs purchase and sales price. There are quite a few other factors to take into account when analyzing your home as an investment, such as realtor commissions, property taxes, inflation, and maintenance. Let's take a peek at how inflation can effect the return on investment from your home. Assuming an annual inflation rate of 3%, you'd need to sell your home for $403,175 just to keep up with inflation. Since you sold your home for $450,000, you could say your inflation adjusted return was only $46,825. When you factor this in with your actual return above of $109,959, you actually only made $63,134. Property taxes are an additional expense you need to account for. To keep things simple, let's assume an annual property tax bill of $3000. Over 10 years, that's an additional $30,000 eaten out of your investment "profit." Don't forget homeowner's insurance! After all, you need to protect your home, and at a conservative rate of $800/year you can take another $8,000 out of your actual return above bringing it to $25,134. We'll avoid going into more detail on realtor commissions, homeowner association dues, and maintenance of your property to keep things simple, but I'm sure you can see that the big $150,000 payday you expected wasn't as lucrative as you thought it was. I get this one a lot, usually from clients trying to rationalize the size of their home relative to their income. The short answer here is married couples in 2013 can take a standard deduction of $12,200. The average amount of interest paid annually by mortgage holders is only $7,000-8,000, leaving many taxpayers no choice but to use the standard deduction as it is a more lucrative option. Even if you were to have enough incentive to itemize your taxes, only interest paid above $12,200 would offer you any real bonus for owning your home. Even if you had $5,000 over the standard deduction using the mortgage interest and property tax deduction, this would provide a tax savings of only $1,250 annually at the 25% tax bracket. Over 10 years this comes out to $12,500, not nearly enough to offset all the other expenses and costs of your "investment." There are too many variables with this example to list, so let's view it just as that; an example. The amount of down payment, your location, property type, mortgage rate, and your methods of repaying your mortgage are some of the variables that can impact your analysis, but nevertheless, it is safe to say that purchasing a home is not a very attractive investment. Critics of this article by now are shouting "WHAT ABOUT THE MONEY YOU SAVED PAYING RENT!" I respond by AGREEING with these critics, and suggest purchasing a home to any individuals that would otherwise be paying rent. This can provide many benefits, and on the whole is often the best approach to building wealth if you don't mind giving up a lot of flexibility and would otherwise be paying for housing. However, I began this article with the intention of educating prospective or current homeowners of the many costs involved with owning a home, and hopefully provide a sedative to the obnoxious guy at your company luncheon going on and on about the huge profits his friends have been making buying and selling their homes over time. The best advice I can give is to not buy too much home. Your home is a CONSUMPTION item and the more resources that go into it over time, are more resources that will not go into higher performing investments like a balanced stock and bond portfolio utilizing index funds in your 401(k) or IRA. I hope you will take all of this with a grain of salt, and I'll cross my fingers that I've helped some of you view the home buying process a little differently. Take care, and thank you for reading!